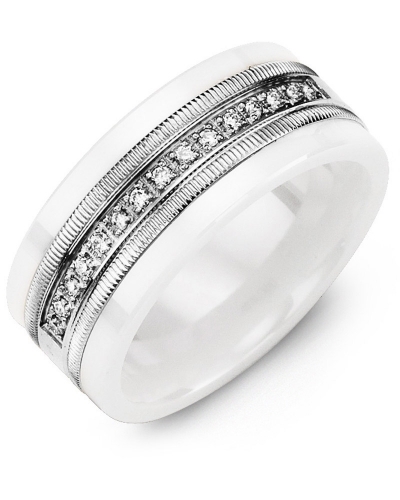 MWH - White Ceramic Pattern Blue Sapphire Wedding Ring Designed to add colour and character to contemporary jewellery collections, this Brushed White Ceramic Blue Sapphire Wedding Ring oozes sophistication and inimitable style. 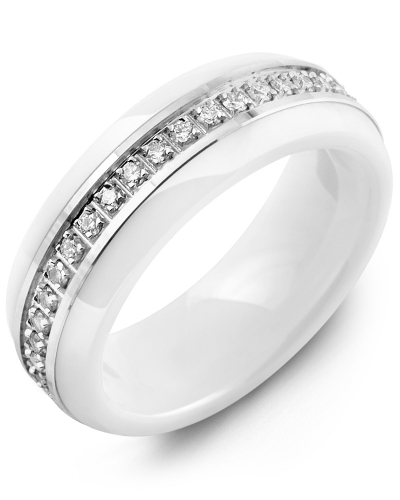 A popular choice for modern brides and grooms, it features a 9mm white ceramic band, a brushed white gold insert, and 14 shimmering blue sapphires with a total carat weight of 0.14ct. 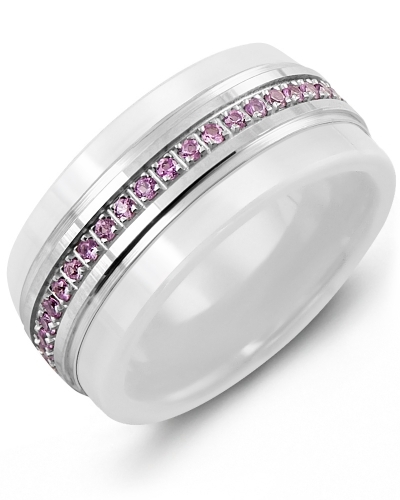 The insert is available in 10kt, 14kt, and 18kt options, and the inside of the band can be engraved. Designed to add colour and character to contemporary jewellery collections, this Brushed White Ceramic Blue Sapphire Wedding Ring oozes sophistication and inimitable style. 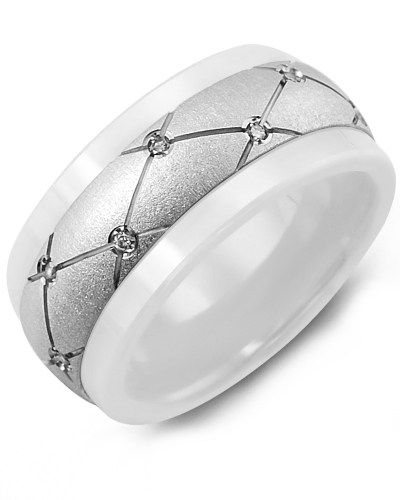 A popular choice for modern brides and grooms, it features a 9mm white ceramic band, a brushed white gold insert, and 14 shimmering blue sapphires with a total carat weight of 0.14ct. 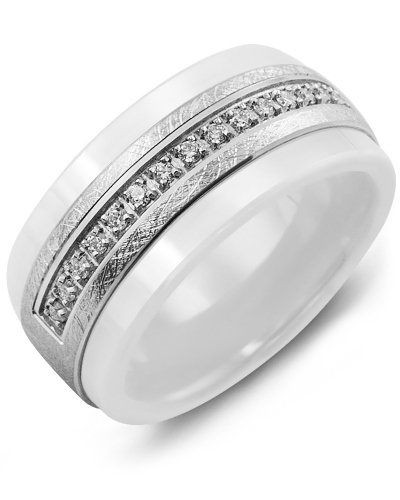 The insert is available in 10kt, 14kt, and 18kt options, and the inside of the band can be engraved.